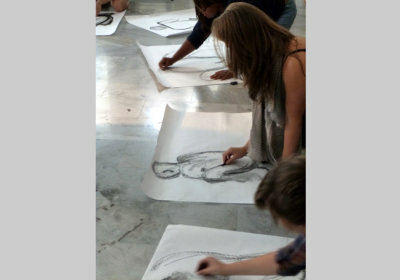 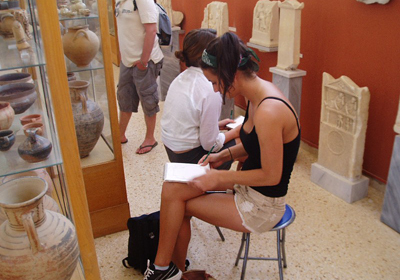 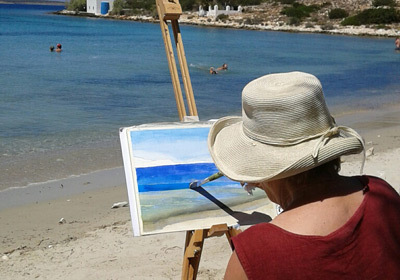 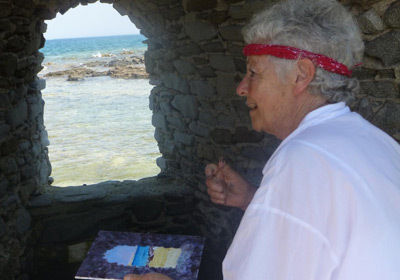 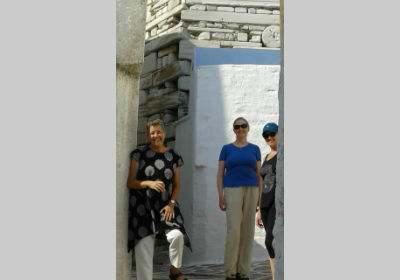 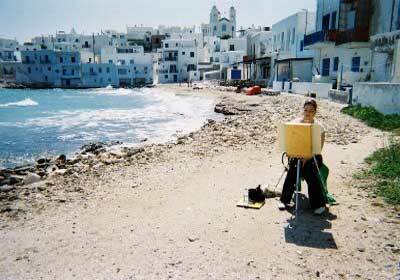 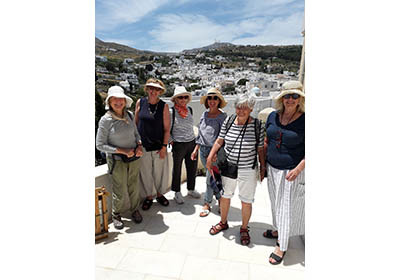 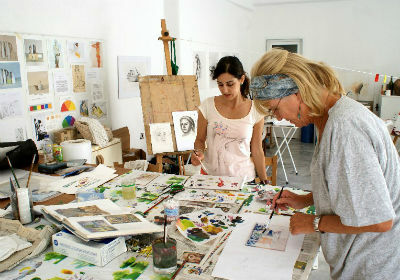 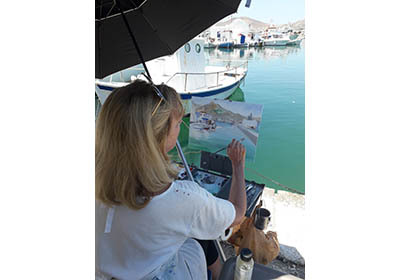 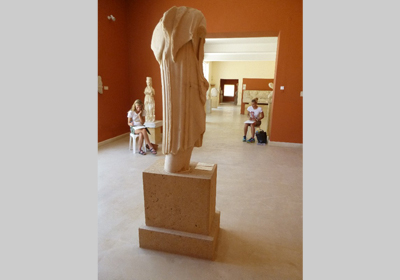 Artists on the Move's art workshops are held on the island of Paros, Greece one of the largest islands in the Cyclades archipelago, situated midway between Athens and Crete. 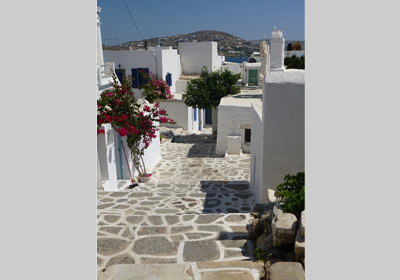 Upon first glance, it is easy to see why Paros has become an artist's delight: rolling hills, traditional fishing villages, ancient ruins, painted stone walkways and a palette of hues ranging from ochre to indigo, the island delights the senses at every turn. 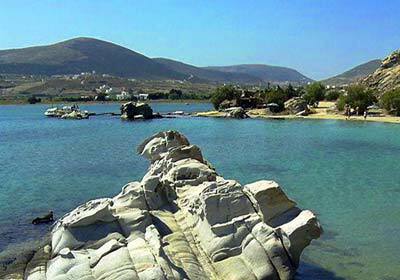 Paros, originally important because of the famous Parian marble quarried here in the golden age (the 'Venus de Milo' is of Parian marble), is beloved today by those who seek out the island's aboveground wonders. 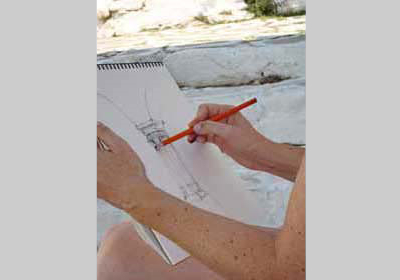 Encircled by irresistible sandy beaches and sparkling blue sea, the island also has a stunning inland full of meandering paths, stone walls that zigzag across the hills and olive trees with twisting trunks and sculptural branches to keep you sketching for days. 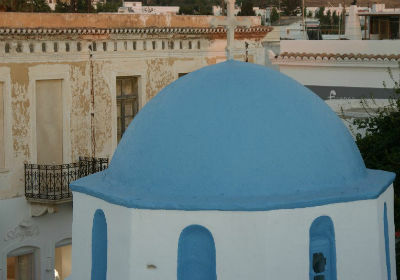 The main town, Paroikia, is a busy port with a rich history. 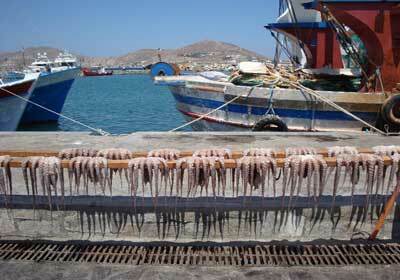 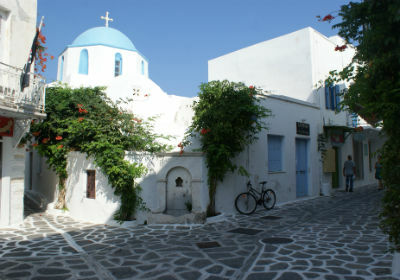 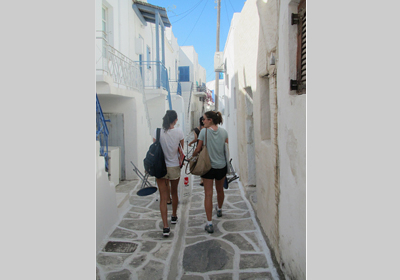 Its center is a maze of little streets that lead around a traditional settlement of Cycladic architecture. 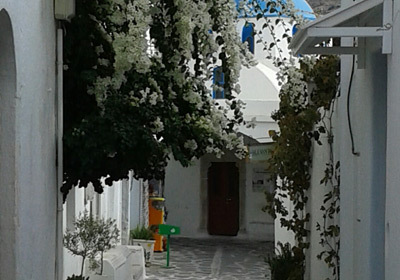 The main market streets overflow with souvenirs and handmade goods. 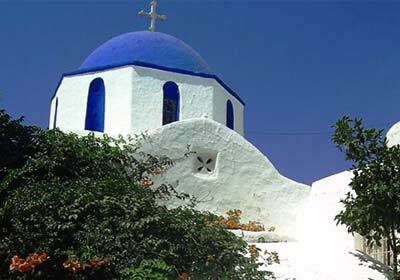 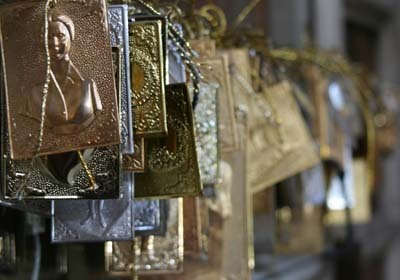 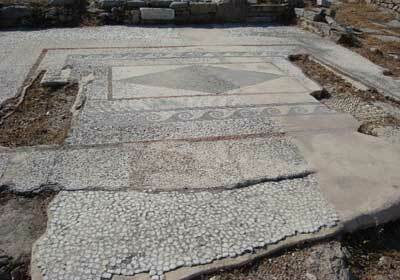 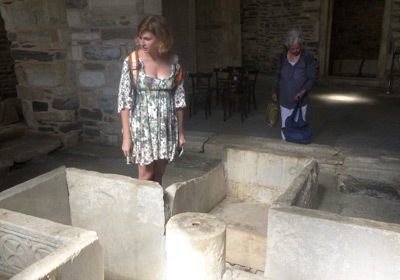 Paroikia also hosts the magnificent Church of 100 Doors, founded in the year 326. 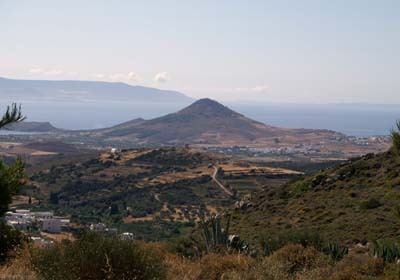 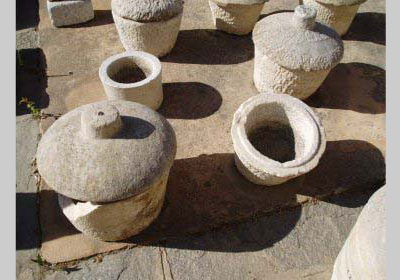 In the north you will find the village of Naoussa. 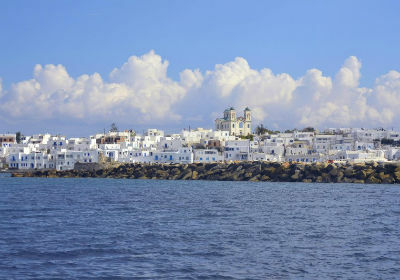 It is a picture-perfect Venetian harbor lined with red and blue fishing boats just back from the day's catch. 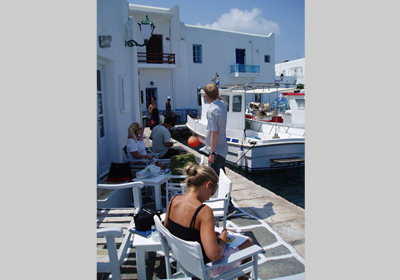 Here, you may watch fishermen repairing their nets and locals relaxing in the many outdoor coffee houses framing the bay. 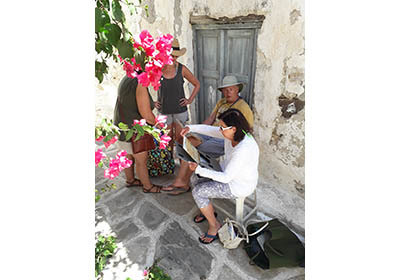 Lefkes, nestled on a hillside in the island's center, has maintained its traditional character of days past. 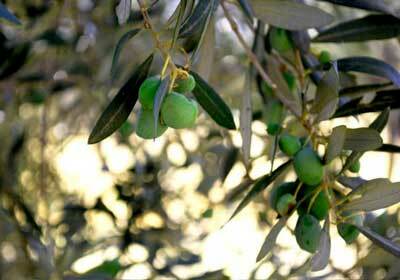 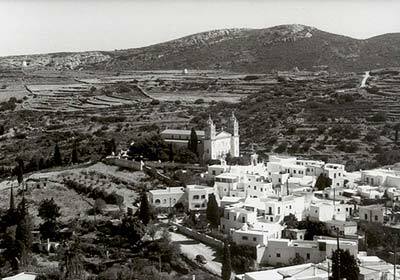 Cradled by olive groves and terraced hills, it has stayed mostly agricultural through the years and therefore maintains a genuine hospitality and simplicity. 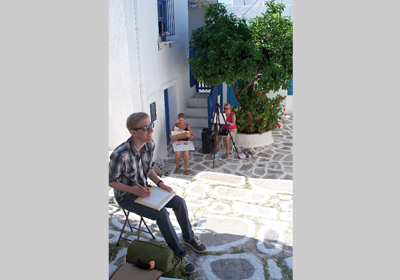 Students are often pleasantly surprised by a passing farmer offering fresh apricots or figs as a friendly gift. 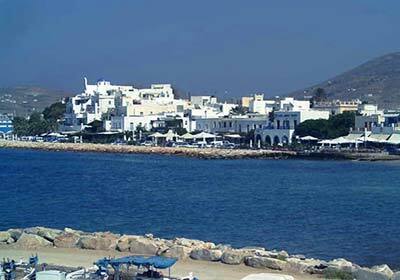 Whatever your interest, be it a peaceful little cove or a bustling market street, sunny beaches or shady groves, you will find plenty to enjoy on the island of Paros.